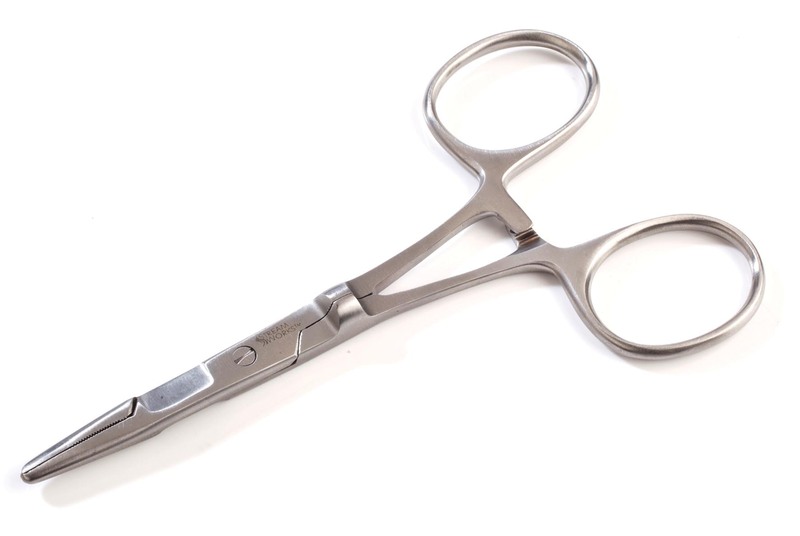 A patented, stainless steel combo tool with serrated scissors and unique lateral Power Jaws™, that provides the clamping power of pliers, eliminating the need to carry two tools. 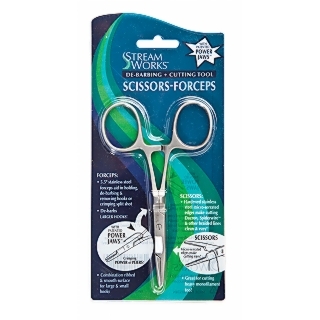 Power Jaws™ de-barbs large and small hooks, crimps split shot and other items. 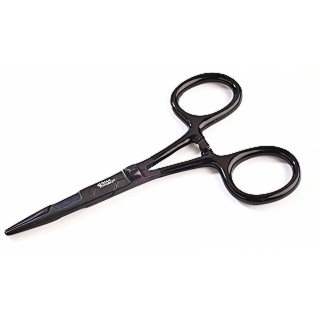 Hardened, micro serrated scissors cut braided and gel-spun lines cleanly and quickly. 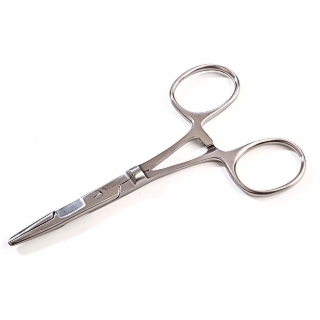 • 5.5” stainless steel forceps aid in holding, de-barbing and removing hooks. 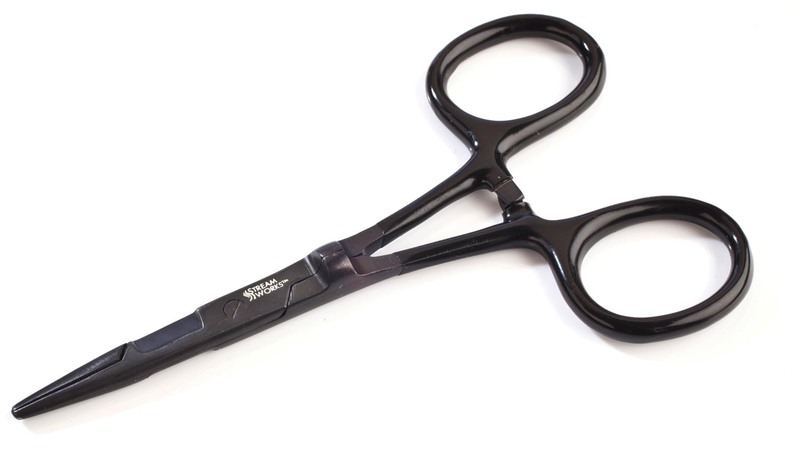 Also great for crimping large and small split shot and other weights. 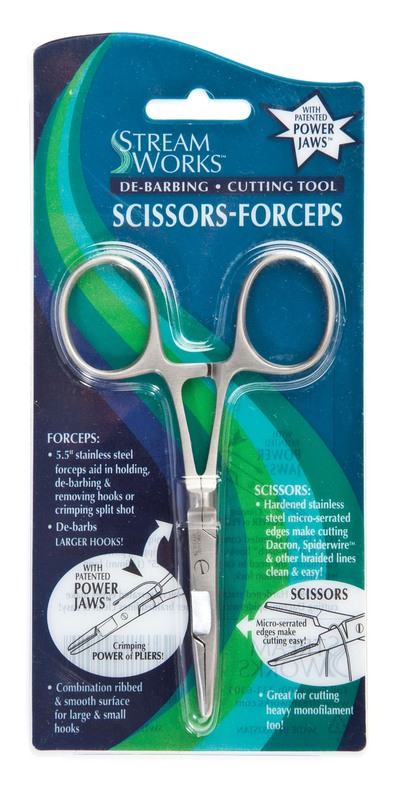 • Hardened stainless steel scissors with micro serrated edges cut Dacron® and gel-spun lines cleanly and quickly without leaving a frayed end.